George Washington Carver Did Not Invent Peanut Butter -- But He Did Invent 300 Ways to Use Peanuts (and Sweet Potatoes)! 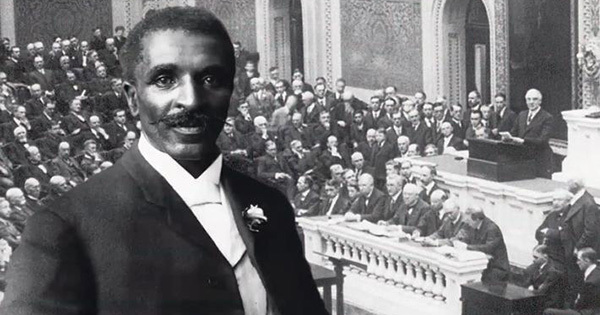 George Washington Carver was a scientist, an accomplished pianist, and a world renowned inventor. Many people think he invented peanut butter, but this is not true! He did, however, use his creative and scientific mind to create hundreds of uses for peanuts that greatly increased farming and contributed to the economy in the South. Food products: peanut lemon punch, chili sauce, caramel, peanut sausage, mayonnaise and coffee. Other commercial products: insecticides, glue, charcoal, rubber, nitroglycerine, plastics and axle grease. He also used peanuts to invent crop rotation. He discovered that peanuts add nutrients to the soil, while other crops like cotton depleted the soil of nutrients. He recommended planting peanuts every other year to add nutrients back into the soil. In addition, Carver was asked to help Henry Ford in producing a peanut-based replacement for rubber... and he successful did so! He even researched and invented multiple uses for sweet potatoes, including more than 73 dyes, rope, wood fillers, breakfast cereal, synthetic silk, shoe polish and molasses. In fact, during World War I, he was able to use his research to help the American textile industry by developing more than 30 colors of dye from Alabama soils - at a time when dyes from Europe became difficult to obtain.